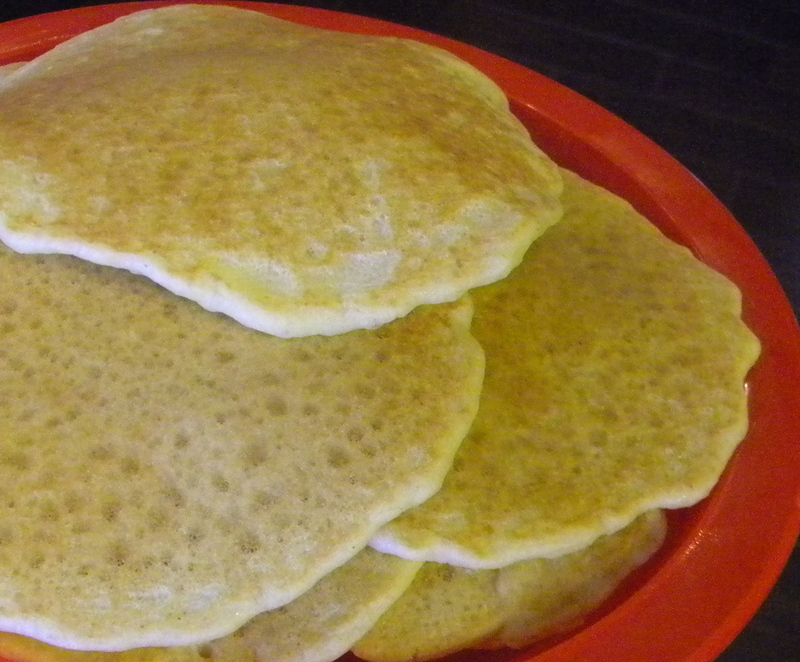 Pancakes, delicious pancakes… without the dairy and wheat, but all the fluffy goodness! 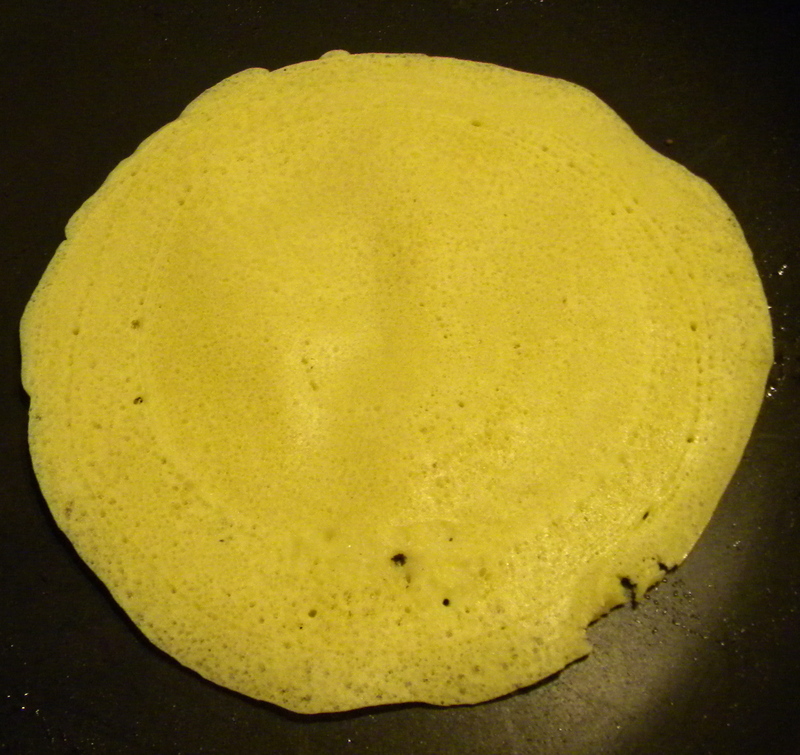 I love a good dense multi-grain pancake, so when we started the GFCF diet over a year ago, I was rather tickled with just about all the pancake recipes we tried. The boys in the house, however, were not as easily impressed. I was informed after probably the third attempt that pancakes are meant to be light, and fluffy, and drenched in syrup. So we set out on the hunt for the ultimate delicious, affordable, FLUFFY pancake… that also happen to be gluten and casein free. After trying various expensive instant varieties, we found Bisquick’s gluten free version to be quite nice for the traditional pancake lover, but I have to be honest, even on sale, or ordered online, they’re not cheap. So I decided to give homemade a try. I started with a standard pancake recipe from my favorite little red cookbook, Better Homes and Gardens, and the recipe tweaking began. This one I didn’t really have to do to much to, but now I just throw everything in until they look and taste right, so I did have to get the measuring cups out the other day to check my measurements. *LEARN FROM MY GLUTEN FREE NEWBIE FINDS* Let all the cold ingredients set until about room temperature. You just want your ingredients to be warm enough that they won’t cause your coconut oil to solidify and get all chunky in your batter (just don’t forget about them, you don’t want a food safety issue). Mix and let stand 5 – 10 minutes. Then heat up a skillet over medium heat, once hot (flick some water at it… if it sizzles it’s hot), spray with non-stick cooking spray or oil of your choice and pour your pancakes. 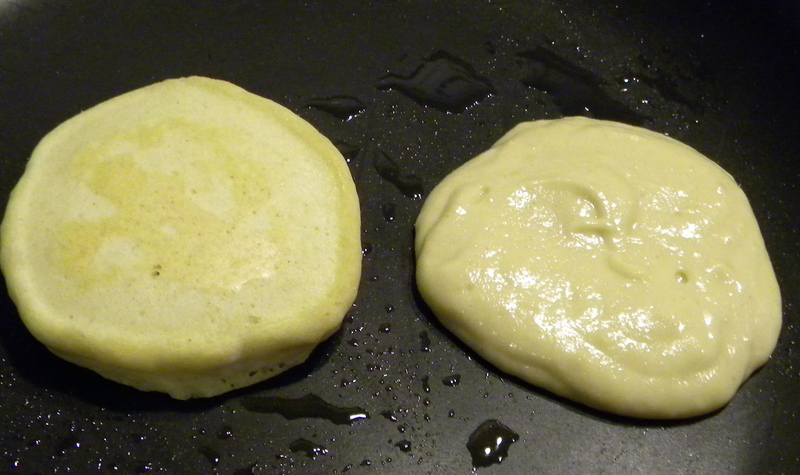 I like my pancakes to fit in the toaster so I make them using a little less than a 1/4 cup of batter each. Serve immediately or cool and freeze for later. Keep a bag of pancakes in the freezer for quick meals. I like them toasted, but you can also heat them back up in the broiler or microwave. Because we are always adding leftovers to the bag, I label the outside of our bag with “Newest” on one side, and “oldest” on the other. That way I add to one end of the pile, but use from the other, so nothing’s in the freezer for too long. For a fluffier pancake (my hubby likes his more like a biscuit)- add the soy milk slowly until the batter is just a little too thick to pour, only about 3/4 cup of milk. They’ll hold together a little better so the air bubbles expand more. You will have to spread them around a bit with a finger (family) or a spoon (company 😉 to shape.